I worked in a small team of 2 designers (including myself), bioengineer, and occupational therapist on soft robotic pneumatic shoulder device. 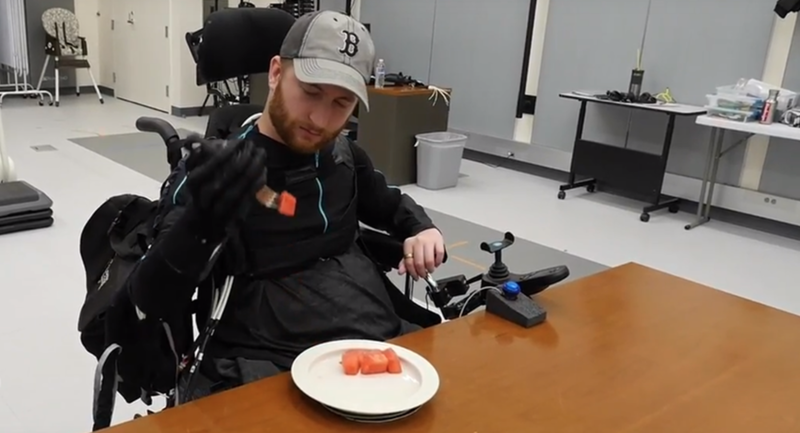 The device is design to help people with upper body impairments to perform every day activities by providing them with a sufficient range of motion. The challenge of this work was to create a balance between the strength of actuators, smoothness of performance, and transparency of the wearable device for a maximum comfort as well as user satisfaction. Starting this job I had a passion for improving every day life for people with impairments, but I did not know much about sewing and designing actuators. Thanks to the cross-disciplinary lab environment I was able to learn not only those hard skills but also how to work with people of different specialities. A major part of the work was testing devices on users and collecting quantitative and qualitative data, which was a base for improvements.